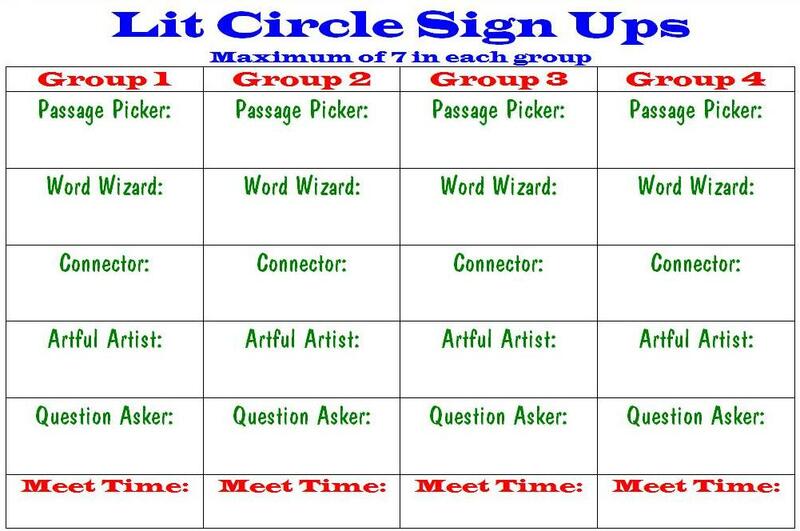 Lit Circle Sign Up chart (1 pg word doc) I laminated this and the kids used chinagraph pencils or whiteboard markers to fill in their names. That way we could use it over and over. 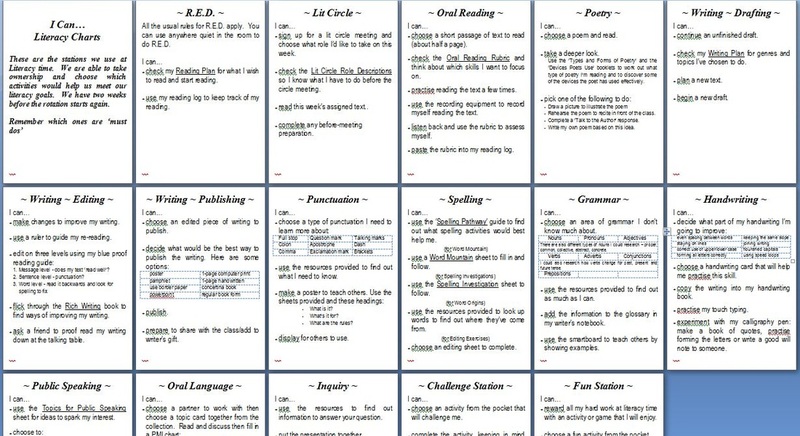 Set of I Can Charts for Literacy Stations (17 pg word doc) Used in conjunction with literacy goals. Students had two weeks before the rotation started again.